Take a walk through the cobbled streets of Alghero; enjoy panoramic views of the city, then catch the last of the sun’s rays while sipping a cool glass of Vermentino wine as the sun sinks slowly in the sky. 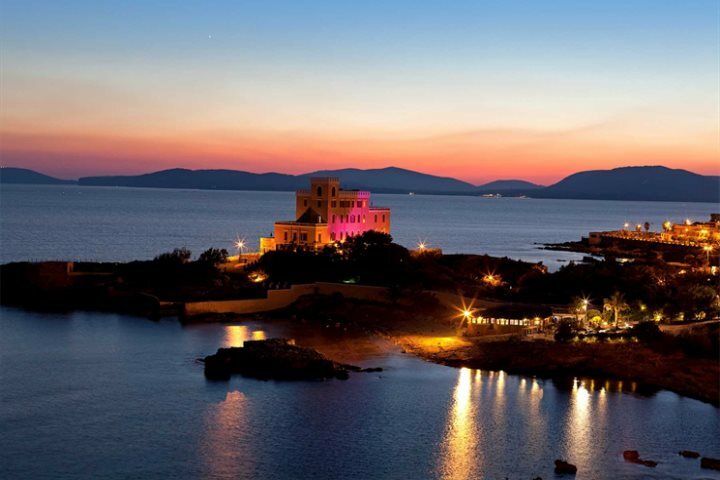 Alghero makes a great city break for two with plenty of sandy beaches close at hand, romantic restaurants and walks as well as more energetic things to do. There are many lovely walks, pretty beaches as well as more active pursuits to enjoy in the area. Here are just a few of our favourites. 1. 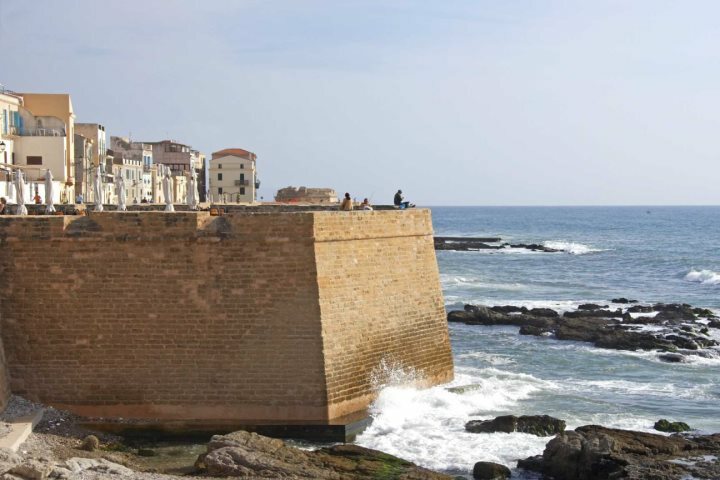 Explore the stunning and extremely atmospheric old town of Alghero, oozing with history and charm. 2. 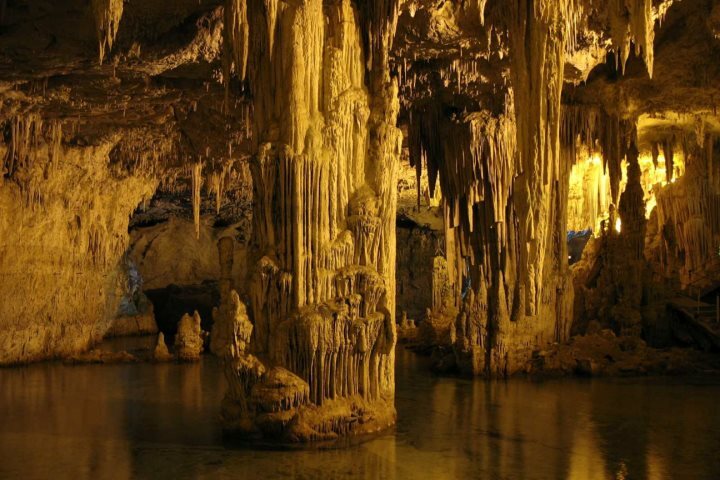 Visit the Nettuno Grotto, a dramatic natural cave system. If you decide to visit, go in the late afternoon - it’s a wonderful place from where to watch the sunset. 3. Go diving or snorkelling. There are plenty of rocky areas by many of the beaches that are great places to watch the underwater world. 4. Visit the ancient palace complex of Nuraghe di Palmavera for hauntingly beautiful ruins to explore. 5. Take a boat trip to Asinara Island (from Porto Nuovo or Porto Torres) and enjoy its beautiful beaches and its only inhabitants, the donkeys. 6. Drive south down the coastal road with its interesting rock formations before exploring Bosa with its picturesque tangle of narrow streets below the ruins of a medieval castle. Expect gourmet food and breathtaking sea views from this former holiday home to the Kings of Italy, now a five star hotel. Reminiscent of a castle, it is built on a peninsular and surrounded on three sides by the sea. What could be more romantic than a candlelit dinner with a view of the Gulf of Alghero, to the sound of a soft piano and flute. Find out more. 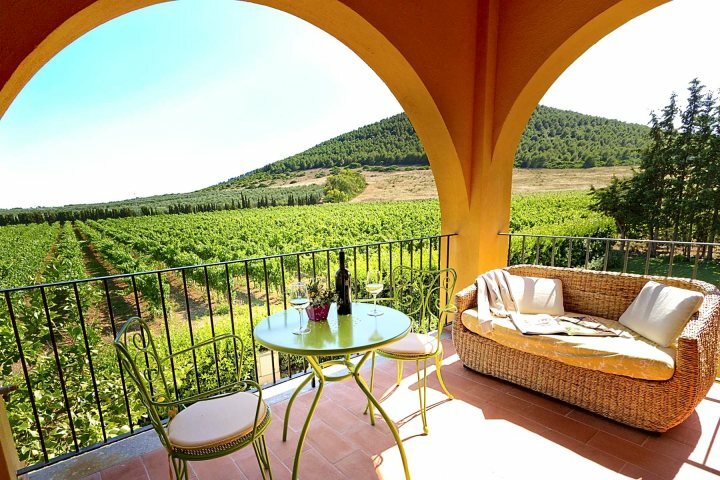 In a peaceful countryside setting, this delightful renovated farmhouse is set in 18 hectares of vineyards and olive groves. Come here with your loved one for an authenti Sardinian epxerience. 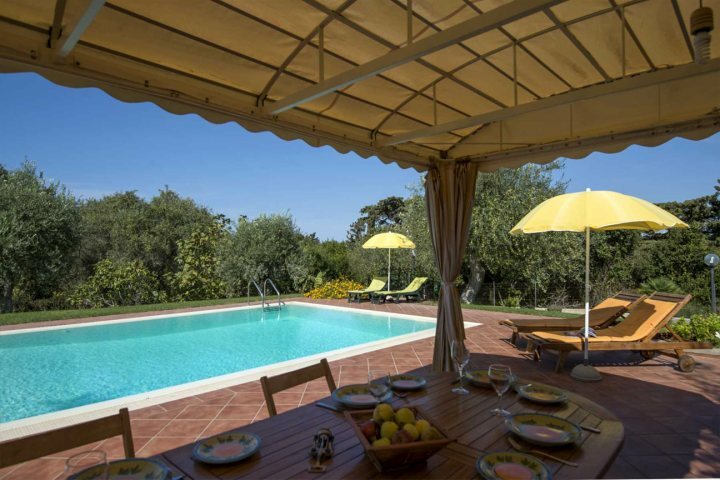 Relax by the pool, explore the area on foot or by bicycle, join a cooking class or wine tasting or discover the historic city of Alghero, just a 10 minute drive away. Find out more. If you’d prefer the intamacy of your own villa with a private pool, than Casa Angelica makes for a perfect choice. With a spacious and bright interior it boasts a built-in barbecue and a lovely maquis-scented garden with a good-sized pool. Plus it’s just a short drive from Alghero and La Speranza beach. Find out more. Overlooking Alghero’s cobbled streets of the old town, this Michelin-starred restaurant offers an exclusive, fine dining experience. With an atmosphere which can be described as ‘quaint’ and ‘romantic’, it’s a wonderful choice for a table for two. Located along Alghero’s peaceful water’s edge with beautiful views of the harbour, Ristorante Embarcadero blends great Italian cuisine and seafood with a fantastic atmosphere. It’s the perfect place to enjoy romantic al fresco dining. Offering traditional Sardinian cuisine, Trattoria La Saletta is a small family-run restaurant which offers good value for money. A good tip for this restaurant is to make sure you arrive hungry!